Everything You Ever Needed to Know About the Gravesites of the Prophets at the Salt Lake Cementary - LDS S.M.I.L.E. 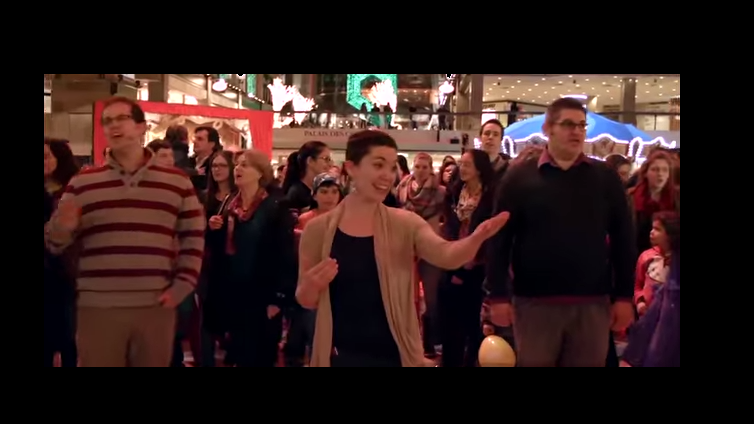 This post is courtesy of Temple Square.com. You can also find out more about them on their Facebook Page. In 1847, the first burial at the Salt Lake Cemetery was for a small child born at Winter Quarters. Since then it has become the long-term home for a number of famous Utah residents. The cemetery was officially established in 1848 shortly after the Saints arrived in the Salt Lake Valley. Located in the foothills of Salt Lake City, the cemetery is Utah’s oldest and largest at 250 acres. Among the famous burials are 11 of the 15 former presidents of the LDS Church. Since the cemetery is so large and has so much history, we put together a map of the prophets’ burial locations. Next time you have a free hour in Salt Lake, check out them out! Our list is organized in chronological order according to when each prophet served as President of the LDS Church. Each entry includes a picture of the prophet and their headstone, a short biography and the location of the grave. A complete map of the locations can be found at the end of the post. The prophets who were not buried in Salt Lake City are not listed. Joseph Smith is buried in Nauvoo, Illinois; Lorenzo Snow is buried in Brigham City, Utah; and Ezra Taft Benson is buried in Whitney, Idaho. Born in Whitingham, Vermont on June 1, 1801, Brigham Young was called to the Quorum of the Twelve Apostles three years after joining the Church. Brigham Young was sustained as president of the Church in December 1847 and later led the first wagon train west to establish Salt Lake City. He also served as territorial governor of Utah and helped settle pioneers all throughout the west. He died on the August 29, 1877 at the age of 76, after almost 30 years of being Church president. His grave is not located in the Salt Lake Cemetery but rather a few blocks west of the cemetery in a special park dedicated to him and his family. His grave is located in the back southwest corner of the park. Born in Milnthorpe, Westmorland, England, John Taylor was sustained an apostle in 1838, shortly after joining the Church. John Taylor was one of the few to accompany Joseph Smith while he was incarcerated in Carthage, Illinois and was seriously wounded on the night Joseph Smith was martyred. After he became president in 1880, John Taylor assisted with the worldwide adoption of the Primary program and the canonization of the Pearl of Great Price as scripture. He died on July 25, 1887 in Kaysville, Utah. John Taylor was buried on the edge of a hill in the center-west section of the cemetery with a beautiful obelisk marking the spot of his grave. Wilford Woodruff was born on March 1, 1807 in Connecticut. He served two missions and then was ordained an apostle in 1839. He then served four additional missions and as temple president for the St. George Utah temple and Church historian. He was ordained Church president on April 7, 1889. During his tenure he dedicated both the Salt Lake City Temple and Manti Utah Temple, and ended the practice of polygamy in the LDS Church. He died on September 2, 1898 in San Francisco, California. His grave is located above Grand Avenue in the Salt Lake Cemetery and features an elaborate headstone dedicated to him and his wives. Joseph F. Smith was born in Far West, Missouri on November 13, 1838. His father was brother to Joseph Smith, the first President of the Church, and was there alongside Joseph Smith on the night he was martyred in Carthage, Missouri. Joseph F. Smith was made the sixth President of the Church on October 17, 1901. During his time as president, Joseph F. Smith worked to develop historic church sites and educate the public about the Mormon Church. He died on November 19, 1918 in Salt Lake City after 17 years as president of the Church. He is buried close to Wilford Woodruff and Joseph Fielding Smith on the west end of the cemetery. His grave is marked by a large obelisk and a long flat headstone next to his wife. Born in Salt Lake City on November 22, 1856, Heber J. Grant had a relatively successful life as a businessman before becoming an apostle in 1882. He became Church president 37 years later on November 23, 1918. He served as president during WWII and oversaw the development of the Church’s welfare program. He died at the age of 88 on May 14, 1945 after 27 years in the presidency. His grave is located in the center section of the cemetery just across the road from John Taylor’s grave. His headstone is a tall smooth, dark obelisk. George Albert Smith was born in Salt Lake City on April 4, 1870. Both his father and grandfather were counselors to previous Church presidents. 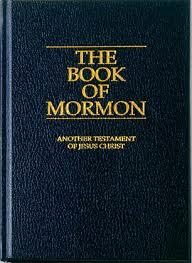 He was called to the Quorum of the Twelve Apostles at the young age of 33. He became the eighth president of the Church on May 21, 1945. During his time he helped with the Church’s massive humanitarian efforts in Europe following the end of WWII. He died on April 4, 1951, his 81st birthday. George Albert Smith’s grave is across the road from the Congregation B’Nai Israel Cemetery, located in the Salt Lake Cemetery. His headstone is low and flat and right next to the road, it is easy to spot as it features stairs leading up to the grave. Born on September 8, 1873, David Oman McKay was an intellectual at heart and pursued a career in teaching before he was called as an apostle at 32. He served for 44 years in the Quorum of the Twelve Apostles before becoming the ninth President of the Church in 1951. He oversaw the creation of the first stakes outside the US and expanded missionary work. He died on January 18, 1970 at the age of 96. His grave is a massive, tall slab of granite in the west center section of the cemetery just down the hill from Gordon B. Hinckley’s Grave. Born on July 19, 1876, Joseph Fielding Smith was son of Joseph F. Smith. His life revolved around the Church. His jobs included full-time missionary, Church historian, and president of the Salt Lake Temple. He was sustained president of the Church on January 23, 1970 at the age of 93. During his short two-year tenure he dedicated two LDS temples, wrote many books, and consolidated Church publications. He died in Salt Lake City on July 2, 1972. His grave is located down the hill below his father’s grave in the southwest section of the cemetery. His headstone is a relatively simple rectangular headstone compared to some of the others. Harold Bingham Lee was born in Clifton, Idaho on March 28,1899. 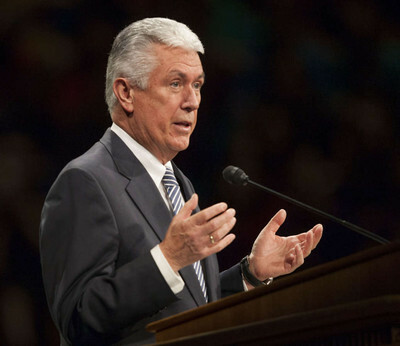 He was ordained president of the Church on July 7, 1972 and while his period in the office was a short 18 months, he worked quickly to streamline the welfare system and better organize communication between Church headquarters in Salt Lake City and stakes and wards throughout the world. President Lee died on December 26th 1973 in Salt Lake City. Harold B. Lee’s grave is a simple headstone and that makes it easy to pass over in the massive cemetery. It is located on the west side of the cemetery directly north of center on Quirrh Avenue. Spencer Wooley Kimball was born on March 28, 1895 in Salt Lake City and grew up in Thatcher, Arizona. Spencer Kimball was called to be an apostle in 1942 where he would serve for 30 years before becoming the twelfth president of the Church at 78 years old. Even though he was called at an old age, he oversaw one of the most rapid expansions of Church growth in its history. During his time as president, LDS temples doubled, the number of missionaries increased by 50% and Church membership skyrocketed worldwide. Perhaps the most lasting influence of President Kimball was his 1978 declaration extending the priesthood to all worthy male members, regardless of race or color. Spencer W. Kimball died in Salt Lake City on the November 5, 1985 at the age of 90. Spencer W. Kimball’s grave is located in the northwest corner of the cemetery. It is a tall grey granite headstone with two pieces of petrified wood on the sides. Howard W. Hunter was born on November 14, 1907 in Boise, Idaho. He was a lawyer before being ordained an apostle in 1959. After serving 35 years as an apostle, Howard W. Hunter was called to be president of the Church on June 5, 1994. He would serve for only 9 months before passing away from poor health. He died on March 3, 1995 in Salt Lake City, Utah. Howard W. Hunter’s grave is an easy one to miss if you aren’t careful. He is buried in the northwest corner of the cemetery across the road from President’s Kimball’s grave. Gordon Bitner Hinckley was born on the June 23, 1910 in Salt Lake City. After graduating from the University of Utah, Gordon B. Hinckley served the Church faithfully for his whole professional life. He worked on the Church Radio, Publicity, and Literature committee and was then called to be an apostle in 1961. President Hinckley served as counselor in the First Presidency to the three Church presidents before him. He was appointed to the office of the Presidency on March 12, 1995 where he would serve for 12 years. During that time, he directed the construction of more LDS temples than any president before him. He also established the Perpetual Education Fund with the goal to help young LDS Church members gain higher education in developing countries. Gordon B. Hinckley died at the age of 97 on January 27, 2008 in Salt Lake City. Gordon B. Hinckley is the most recent president to be buried. His grave is located right next to the road and is easy to spot just up the hill from David O. McKay’s resting place. 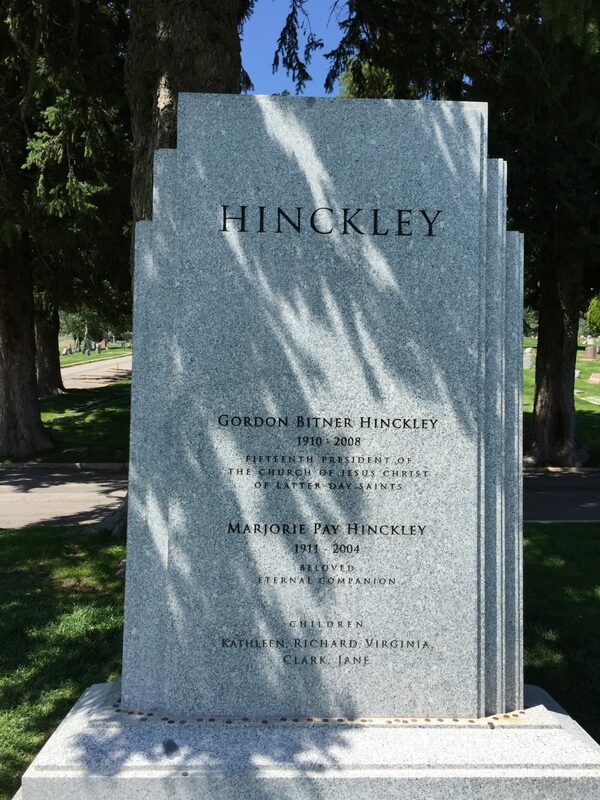 President Hinckley’s headstone is made from the very same granite as the Salt Lake Temple and the Conference Center. It takes about an hour to tour all of the Presidents gravesites and to help you find your way, here is a complete map! To learn more about the history of the LDS Church and its presidents, check out the Church History Library. Why Are the Speakers Not Speaking In Their Native Tongue?